Posted by Anna on Sept. 28, 2018 in Boondockers Welcome. Last update on Sept. 28, 2018 . 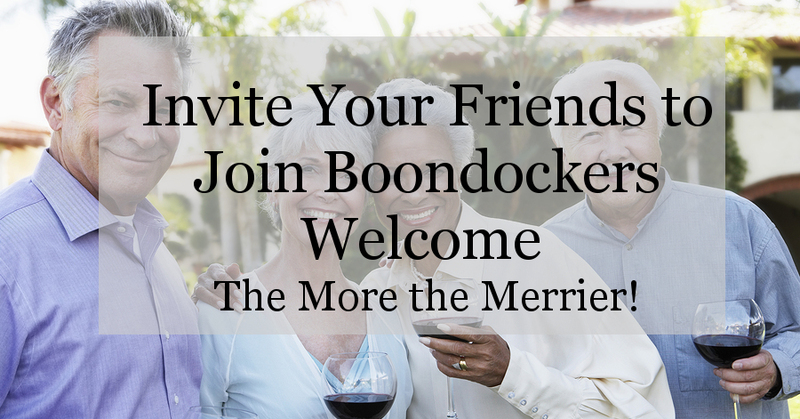 Have a friend who you think would love Boondockers Welcome? Invite them to join us! Our new refer-a-friend program is now up and running!